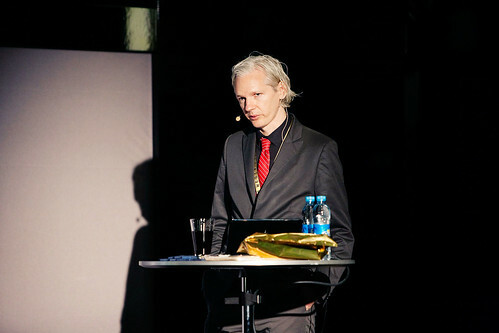 Watch the full talk by Julian Assange at New Media Days 2009: newmediadays.dk/julian-assange. If used online please attribute to 'New Media Days / Peter Erichsen' and hyperlink the photo to its location on Flickr. If used for print purposes please attribute to 'www.newmediadays.com / Peter Erichsen'. Permissions and information beyond the scope of this license can be acquired by contacting New Media Days.